How Businesses Are Flourishing With VoIP? You are here: Home > Tutorials > Internet > How Businesses Are Flourishing With VoIP? VoIP is an integrated set of IP-based features which enables users to make calls and send messages throughout the world. 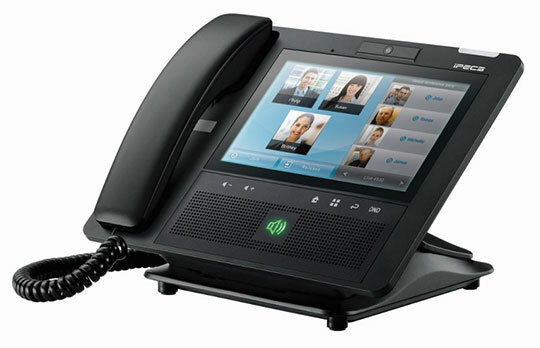 VoIP is different from the traditional telephony as the former works by breaking the voice into small discrete data packets and transmission of these data packets over the network of an ITSP (or Internet Telephony Service Provider), and the latter works on the dedicated circuit protocols of the PSTN (or Public Switched Telephone Network). One of the most important benefits of VoIP is that it strictly slashes down the toll charges which are charged by the traditional communication services. With VoIP, you can hold virtual meetings with your employees and clients anywhere on the globe. VoIP has a lot to offer at very affordable charges. Following are some of the benefits associated with this IP-based telephony service. Note: To know more about VoIP you can visit the wiki page. If you are looking for something which can help you cut down the unnecessary expenditures, then you must switch over to VoIP. VoIP-based telephony will let you feel as if the person you are talking to is sitting in your vicinity. If you compare your total yearly expenditure on travelling and VoIP services, you will be surprised to find out that the latter will many a times be cheaper than the former. VoIP will not only let you save a lot of money but also time as travelling will remarkably be cut down by this service. Communication might be hampered in situations where the employees of any organization have to work from different geographic locations. In such circumstances, communicating parties might end up in utter confusion. Emails and phone calls are quite prominent ways to get in touch with somebody but these are not the best ones. Best way of communication is when you can actually see each other. Most of the VoIP-based services allow video conferencing through which you can actually see each other. Communications made via video conferencing enables you to accomplish your tasks on time. With video conferencing you can judge a person easily and therefore take wise decisions. It would be a sheer wastage of time if you find out at the end of an interview session that a particular candidate is lacking the skills necessary for the job and is not fit for it. In situations where you need the advice of an expert who is not present in your premises, you can simply deliver the recorded interview session to the expert with the help of VoIP. This will ease your task of decision making. Major reason behind most of the employees who resign is that they suffer a lot on daily basis while travelling long distances to reach their office. Corporate Executive Board conducted a survey of 50,000 employees and found that around 84% of people were not able to maintain a balance between their family life and official life. Most the employees were of the view that if they are given more time to spend with their family, they will be highly motivated and excel in their work. This problem can also be solved by adopting VoIP as now your employees can work even from their home. Traditional phones are only good for talking. As a result of these limited features, the legacy phone systems are becoming outdated day by day. Every telephone user is demanding more and is therefore switching over to IP-based telephony which is full of features. With VoIP you can deliver instant messages, see each other via video conferencing, share files and data while talking, check your friend’s status whether he is online or offline, transfer images, and more. These were some of the most important features of VoIP. Other features include music on hold, telephone mobility, protection of the environment, voicemail to email encryption, etc. VoIP has something for everyone and that too at very affordable charges – choosing VoIP that is expandable in the future may reap wonderful rewards as your business continues. Take a wise decision and switch over to this service in order to escalate your business growth. This article is written by Deepanshu Gahlaut. He is a technical writer working with Ace Cloud Hosting, is passionate about technology including cloud computing, VoIP, PBX and social media. His writings display the knowledge and challenges that he collects with his day-to-day experiences.